B-TEK's AX300 Axle Scale is a unique portable, field proven platform for checking individual vehicle axle weights. The weights are used to minimize risk of overweight fines due to individual axles that exceed state maximum limits. The axle weights can also be totaled to ensure trucks are not under-loaded to maximize the productivity of each vehicle movement. The AX300 Axle Scale is available with two standard platform lengths as well as custom sizes to meet specific application requirements. The scale features four rigidly mounted load cells in the platform with no moving suspension parts to wear or load feet to bend or break. 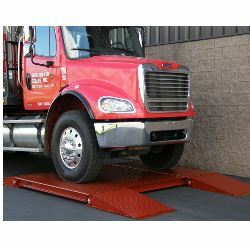 The platform is constructed with I-beams and 1/2" tread plate decking, the thickest decking of any axle weighing scale on the market. ◦AX300 scales are economical alternative to a full size truck scale. ◦Platforms can be moved with fork lift. ◦Scale height of only 6” - very low profile for ease during drive-on. 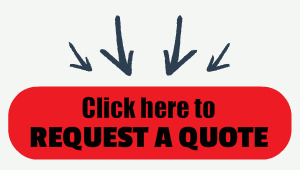 ◦No concrete or foundation construction required for installation. ◦Installs on top of concrete, asphalt or well-compacted gravel. ◦Platforms constructed with I-Beams for superior strength. ◦Platforms have 1/2” tread plate decking for ultimate durability. ◦Platform steel is shot blast cleaned (SSPC-SP6) prior to painting. ◦Platforms and ramps have locations for attachment of lifting eyes. ◦Ramps are completely detachable from the platforms. ◦Ramps have fully plated bottom support and lag-down tabs. ◦Stainless steel junction box on each platform to protect wire terminations. ◦Interconnect cables provided with military grade connectors. ◦Two-component polyamide epoxy paint system. ◦Wheel load accurate to within 0.25% of full scale. ◦60,000 lb. gross scale system capacity.